By the criteria set for this website, (the artists should have worked or lived in the UK), Reuters should not appear. So why is this famous German artist who is renowned for his Volkswagen art in this listing? 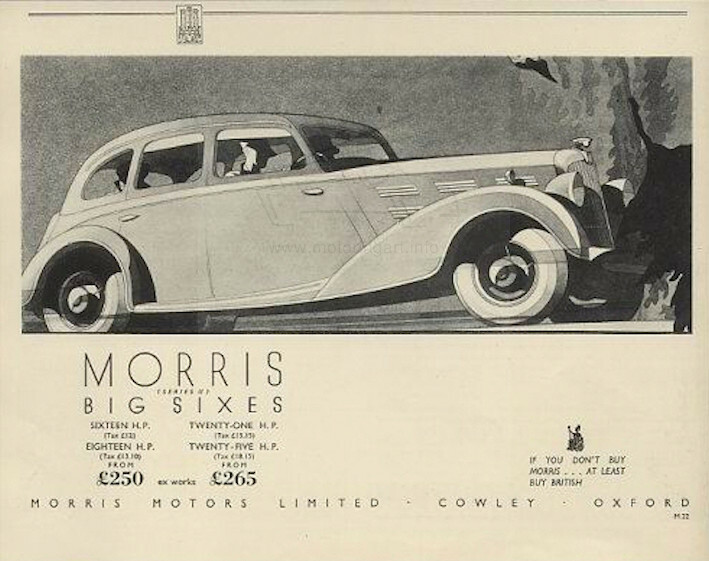 Simply Reuters who said he never travelled abroad, produced art in the mid 1930’s for UK companies such as Morris and Wolseley and claimed he also worked for Rolls-Royce and Armstrong-Siddeley. 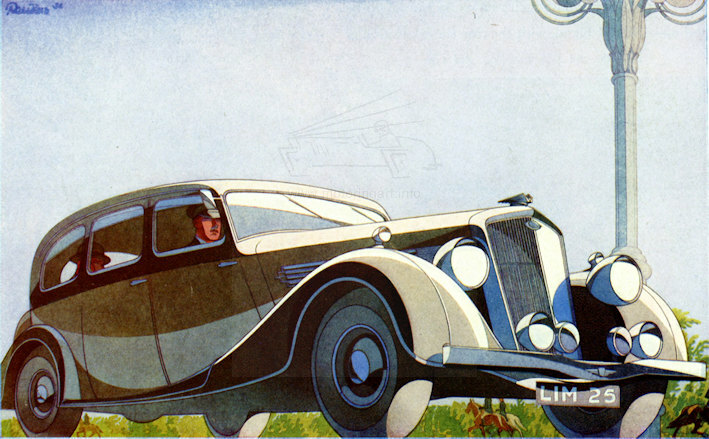 The first art noted in Germany was pre-1930 for companies Zyklon, Dixi (BMW) and Rohr, Brennabor and Adler. After 1930 he also worked for Horch, Wanderer, DKW and Opel. Post-war he was employed by Volkswagen from 1946 up to his death in 1958. 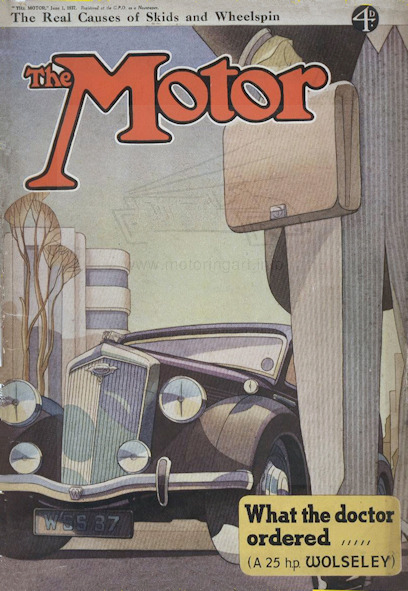 It was with VW that he became famous for his artwork and illustrations plus he also assisted with the design of car interiors and fabric selection. I find it difficult to believe that UK companies of a highly conservative nature would employ a German artist effectively by mail at a time in 1936 when there were suspicions about Germany! I believe the truth is that Reuters lived and worked in the UK for a short period to gain experience returning to Germany as tensions increased. It was probably not politically correct for Reuters to broadcast that he had lived in the UK so this short period in his life abroad was deliberately forgotten. 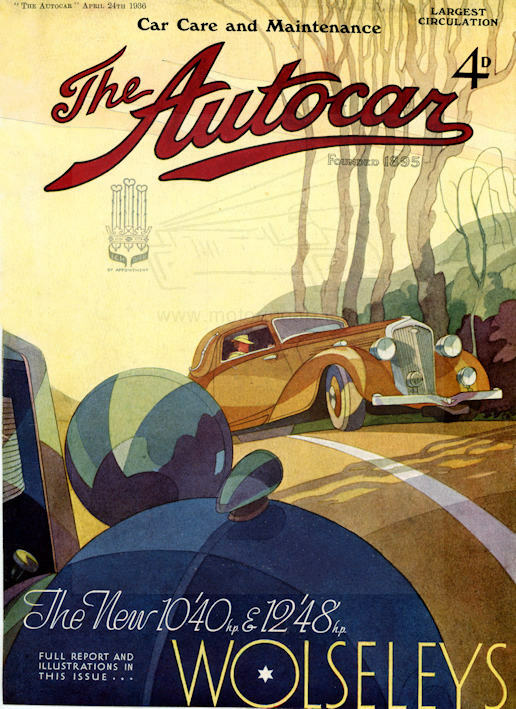 However, the legacy of his work is seen as signatures on printed UK artworks such as covers for The Autocar and The Motor. Plus the influence of his art Deco Style and unusual perspective angles were imitated by others after he had returned to Germany. On the other hand there is supporting evidence that he never came to the UK in that a few signatures are reversed. This normally occurs where a car has been drawn left-hand drive and the final print has to be right-handed. The whole artwork then has to be photographically reversed (like a mirror) but this also changes the signature. It could be said that Reuters did not know that cars in the UK drove on the other side of the road! This I find hard to believe for somebody working very closely within the auto industry. It would appear that his UK work was completed during 1936 - 1937 and unfortunately as yet no originals have been found. 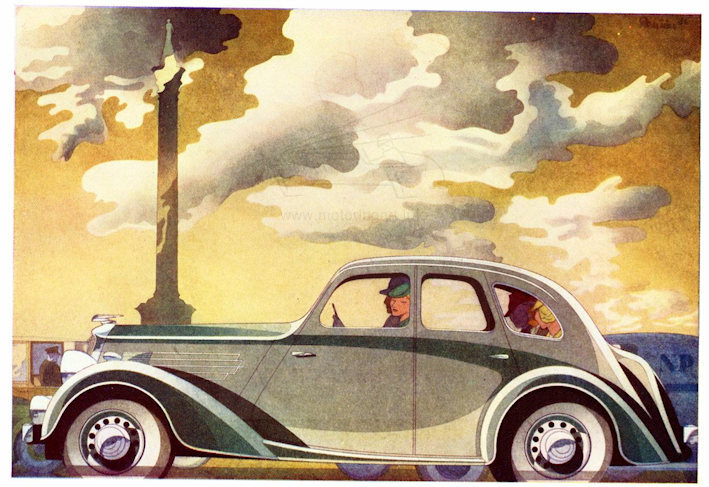 Thank you for information to Rutgers Booy and Pre-War Car web magazine www.prewarcar.com from an original article by Henk Schuuring.